This total body workout takes yoga strength moves to the next level by adding extra resistance. This will give you an awesome burn! All you need is a mat and a pair of dumbbells. Helloooooo. Happy Tuesday! How’s the morning going? Did you check out the eclipse yesterday? I feel like it affected everyone’s mood, and it was a bit of a rough one. It was a case of the Mondays all around. Fingers crossed that today is a little more back to normal. 😉 We’re just enjoying the morning over here, and I’m getting things ready for girls’ night (Cooking Club), which is at our house tonight. The theme is breakfast for dinner, so I’m going to do a Bloody Mary bar and you know some of this will be making an appearance. I’ll be sure to report back with all the deets. 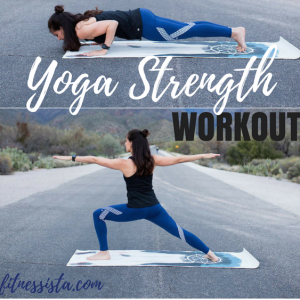 For today, I have a new workout for you, based on one of my very favorite formats: yoga strength! These moves are based on traditional yoga poses, with added resistance from dumbbells. 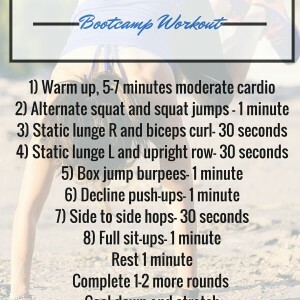 It’s a great way to change up your practice and add some extra muscle building, strengthening, and fat burning benefits. Be sure to talk with a doctor before making any fitness changes, and honor your body. Feel free to modify or adjust according to your specific needs. Vinyasa with renegade row: For this one, you’ll complete a full vinyasa (mountain pose, forward fold, halfway lift, step back to plank, lower down to chatarunga, upward facing dog, downdog, walk or jump forward, fold, halfway lift, stand) holding two dumbbells so you can row as you go back into plank. Try to keep your hips stable as you do your renegade row, squeezing your back as you bring each dumbbell in towards your torso. Chair with overhead presses: From standing, lift your arms overhead, holding dumbbells. Exhale as your bend at the knees, bringing your thighs as close to parallel to the floor as possible. Draw your shoulder blades down your back and keep your back flat. Inhale to bend your elbows and bring the weights out to 90 degrees, and exhale to press up overhead as you stand from your chair pose. Crescent lunge with knees in and reach: Keep your shoulders down, arms extended, and straighten the back leg as much as possible. Keep the front knee bent, and stacked right over your front ankle. Inhale to bend your back knee towards your chest, bringing the arms in. Exhale to straighten and press back. Complete all 15 reps on the same side before switching to the opposite side. Goddess squat with biceps curls: Rotate your body to the side, so you come into a plie squat. Try to bring your thighs close to parallel to the floor, keeping your chest lifted, core engaged, and knees pointing towards your toes (but not extending PAST your toes). As you exhale, straighten your legs (squeeze your glutes and inner thighs) and complete your biceps curl. Inhale to sink back down to your squat, bending your elbows. Be sure to keep your shoulders relaxed. Warrior with serve platter: Rotate back to lunge position with your back foot angled at 45 degrees and your entire back foot pressing into the floor. Keep your front knee stacked over your front ankle, with a deep bend in your front knee. Reach your arms out to shoulder height and relax your shoulders, then bend your elbows in behind your torso, squeezing your back. Extend arms back up to shoulder height and repeat. When your arms bend, your front knee bends. When they extend, straighten your front leg. Chatarunga push-ups: Step back into a plank position, so your body is a straight line, from your head to your ankles. If you need to modify, drop down onto your knees but keep your hips down in line with your body. Squeeze your elbows in, and bring your chest down so your elbows hug into your torso (stop them in line with your torso). Exhale to squeeze your chest and press up. That’s one rep.
Back extension with squeeze: Come into a prone position (on your stomach). Bring your arms straight out in front of you. Ground through your hips and feet, and contract your core to exhale and lift into your back extension. Just aim for a straight spine and avoid hyperextending your back. Bend your elbows and squeeze your shoulder blades, then extend your arms and gently lower down to repeat. If it’s your first time doing these, I recommend one set to start and that’s it. You will likely be sore from just a little bit and it’s better to start small and work up from there. Eagle crunch: Roll onto your back, bend your knees in and wrap your right leg over your left, tucking your right toes under your left ankle if you can. Bend your elbows and cross your right elbow under your left and clasp your hands. Contract your abs and bring your knees and elbows together to perform a crunch. Lower down with control. Complete all reps on one side before switching to the opposite side. Check out more yoga strength workouts here, here and here. Hope you have a beautiful day and I’ll see ya soon. 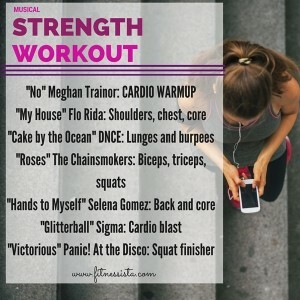 I love how you incorporated strength into yoga. I’m not much of a yoga fan and if I do it, it’s more to get a good stretch, but my friends who do yoga daily, would love this one! 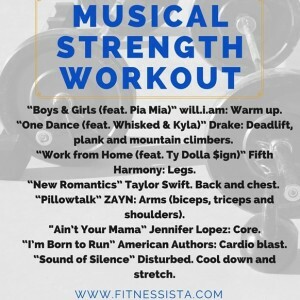 I love yoga strength workouts, thanks for sharing. It’s a barre yoga fusion! LOVE it! I have a random, unrelated question for you! Did you ever take classes at the Dailey Method when you were in San Diego? If so, thoughts? They’re doing a barre at the marina class in point loma on saturday that I just signed up for (they had me at “registration includes a cocktail after class”) but I’ve never been to this studio and I’m not terribly familiar with the Dailey Method. Thanks! I love some yoga with weights! 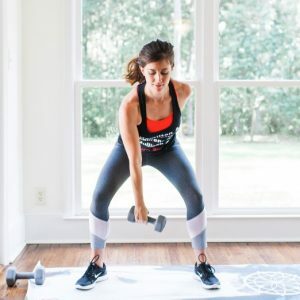 The first time I tried it was the CorePower sculpt class and couldn’t believe how tough it was! Great moves! yes, it makes it so much more challenging! I’m doing the second month in a row of this year’s summer shape up. What do you recommend subbing this workout for? Thanks! Love your blog! Whew, baby! I finally tried this and did 2 rounds. One was with weights and one without. I definitely need lighter weights than my 5 pounders! This is perfect!! I really need to start doing yoga but just can’t get into it! Since you’ve added weights I really think this could be a good start for me! Definitely going to give this a shot and pinning it for later! Have you ever heard of Holy Yoga? I’m thinking of becoming certified in it, but am trying to decide if it the best route. I work at church and think I could use it in my work with kids.